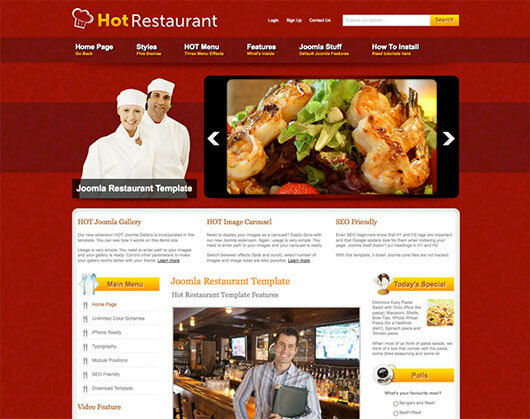 What do you think about Hot Restaurant, the Joomla Restaurant template? Do you think it's delicious? 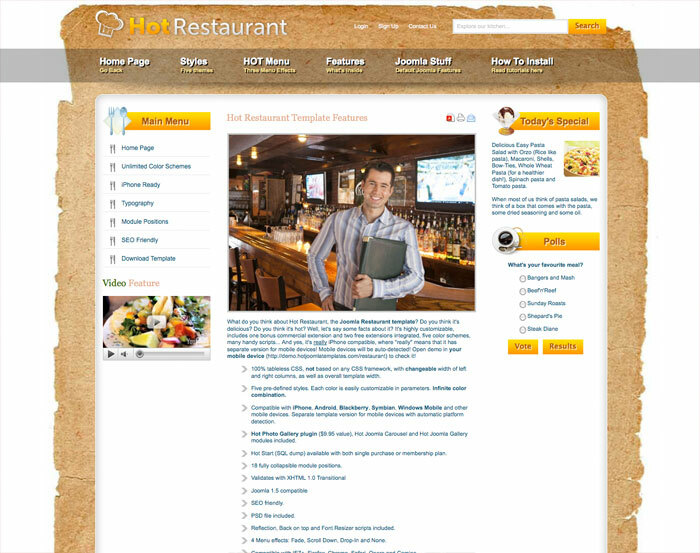 Do you think it's hot? Well, let's say some facts about it? It's highly customizable, includes one bonus commercial extension and two free extensions integrated, five color schemes, many handy scripts... And yes, it's really iPhone compatible, where "really" means that it has separate version for mobile devices! Mobile devices will be auto-detected! 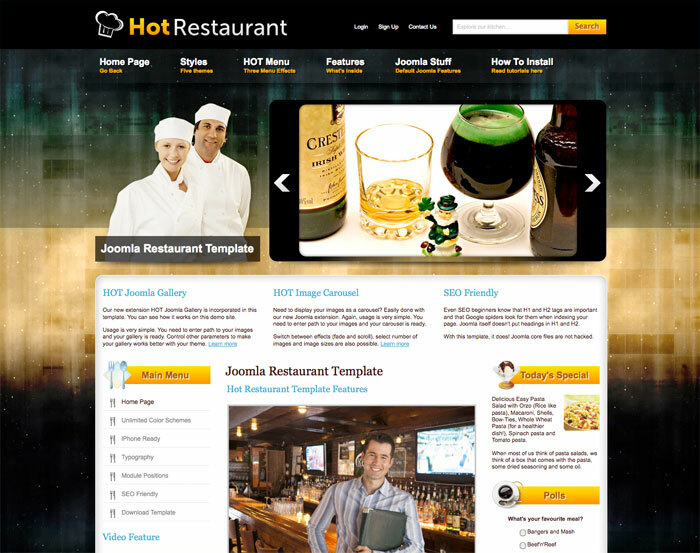 Open demo in your mobile device (https://demo.hotjoomlatemplates.com/restaurant) to check it! 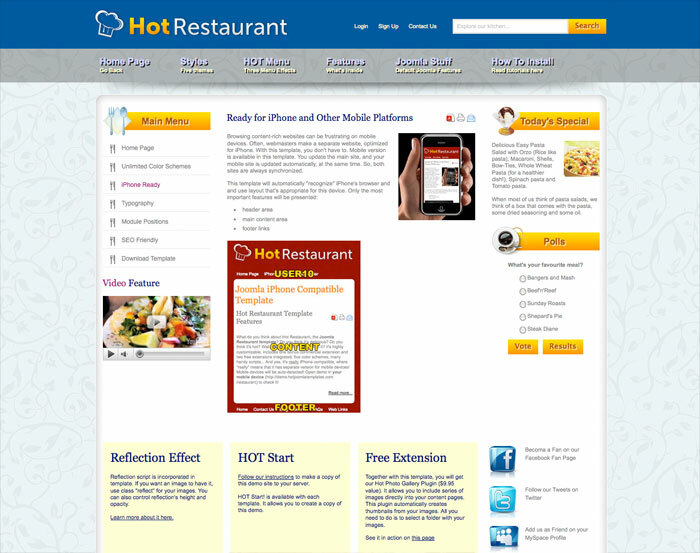 Compatible with iPhone, Android, Blackberry, Symbian, Windows Mobile and other mobile devices. Separate template version for mobile devices with automatic platform detection. 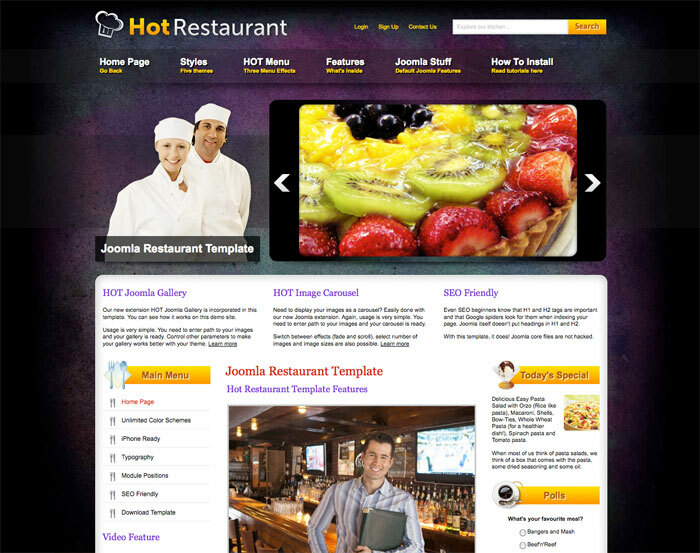 Hot Photo Gallery plugin ($15 value), Hot Joomla Carousel and Hot Joomla Gallery modules included.